3800201 244J John Deere 244J. Backhoe loader. Spare Parts Catalog. Service (workshop) Manual. Operator's Instruction Manual. 3800202 304J John Deere 304J. Backhoe loader. Spare Parts Catalog. Service (workshop) Manual. Operator's Instruction Manual. 3800203 310G John Deere 310G. Backhoe loader. Spare Parts Catalog. Service (workshop) Manual. Operator's Instruction Manual. 3800204 310J John Deere 310J. Backhoe loader. Spare Parts Catalog. Service (workshop) Manual. Operator's Instruction Manual. 3800205 310SJ John Deere 310SJ. Backhoe loader. Spare Parts Catalog. Service (workshop) Manual. Operator's Instruction Manual. 3800206 315SJ John Deere 315SJ. Backhoe loader. Spare Parts Catalog. Service (workshop) Manual. Operator's Instruction Manual. 3800207 344J John Deere 344J. Backhoe loader. Spare Parts Catalog. Service (workshop) Manual. Operator's Instruction Manual. 3800208 410E John Deere 410E. Backhoe loader. Spare Parts Catalog. Service (workshop) Manual. Operator's Instruction Manual. 3800209 410G John Deere 410G. Backhoe loader. Spare Parts Catalog. Service (workshop) Manual. Operator's Instruction Manual. 3800210 410J John Deere 410J. Backhoe loader. Spare Parts Catalog. Service (workshop) Manual. Operator's Instruction Manual. 3800211 444J John Deere 444J. 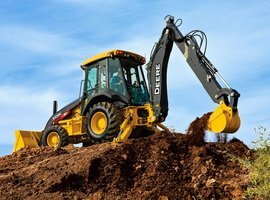 Backhoe loader. Spare Parts Catalog. Service (workshop) Manual. Operator's Instruction Manual. 3800212 444K John Deere 444K. Backhoe loader. Spare Parts Catalog. Service (workshop) Manual. Operator's Instruction Manual. 3800213 524K John Deere 524K. Backhoe loader. Spare Parts Catalog. Service (workshop) Manual. Operator's Instruction Manual. 3800214 544J John Deere 544J. Backhoe loader. Spare Parts Catalog. Service (workshop) Manual. Operator's Instruction Manual. 3800215 544K John Deere 544K. Backhoe loader. Spare Parts Catalog. Service (workshop) Manual. Operator's Instruction Manual. 3800216 624J John Deere 624J. Backhoe loader. Spare Parts Catalog. Service (workshop) Manual. Operator's Instruction Manual. 3800217 624K John Deere 624K. Backhoe loader. Spare Parts Catalog. Service (workshop) Manual. Operator's Instruction Manual. 3800218 624KR John Deere 624KR. Backhoe loader. Spare Parts Catalog. Service (workshop) Manual. Operator's Instruction Manual. 3800219 644H John Deere 644H. Backhoe loader. Spare Parts Catalog. Service (workshop) Manual. Operator's Instruction Manual. 3800220 644J John Deere 644J. Backhoe loader. Spare Parts Catalog. Service (workshop) Manual. Operator's Instruction Manual. 3800221 644K John Deere 644K. Backhoe loader. Spare Parts Catalog. Service (workshop) Manual. Operator's Instruction Manual. 3800222 710G John Deere 710G. Backhoe loader. Spare Parts Catalog. Service (workshop) Manual. Operator's Instruction Manual. 3800223 710J John Deere 710J. Backhoe loader. Spare Parts Catalog. Service (workshop) Manual. Operator's Instruction Manual. 3800224 724J John Deere 724J. Backhoe loader. Spare Parts Catalog. Service (workshop) Manual. Operator's Instruction Manual. 3800225 724K John Deere 724K. Backhoe loader. Spare Parts Catalog. Service (workshop) Manual. Operator's Instruction Manual. 3800226 744K John Deere 744K. Backhoe loader. Spare Parts Catalog. Service (workshop) Manual. Operator's Instruction Manual. 3800227 824K John Deere 824K. Backhoe loader. Spare Parts Catalog. Service (workshop) Manual. Operator's Instruction Manual. 3800228 844J John Deere 844J. Backhoe loader. Spare Parts Catalog. Service (workshop) Manual. Operator's Instruction Manual. 3800229 844K John Deere 844K. Backhoe loader. Spare Parts Catalog. Service (workshop) Manual. Operator's Instruction Manual.